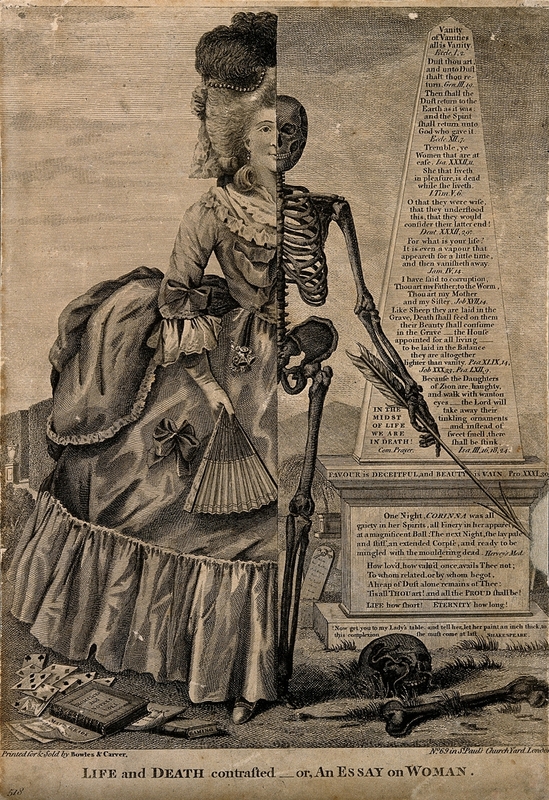 A striking image from the British engraver and publisher Valentine Green, illustrating the idea that life, with all its frivolity and distractions (symbolised by the romance novel, parlour games, and high society lady in all her finery) is in fact – echoing the sentiment of Ecclesiastes (quoted on the obelisk) – nothing but “vanity”, all lives as they do inevitably ending in death. The subtitle – “an essay on woman” – does, however, raise the question of whether Green is making a further comment on womanhood itself. See the second picture below for a different version, but this time using the figure of a man. Below is another similar image from Valentine Green, this time inspired by Alexander Pope’s 1734 poem “An Essay on Man”, a philosophical poem using rationality to try and justify God’s ways to man. 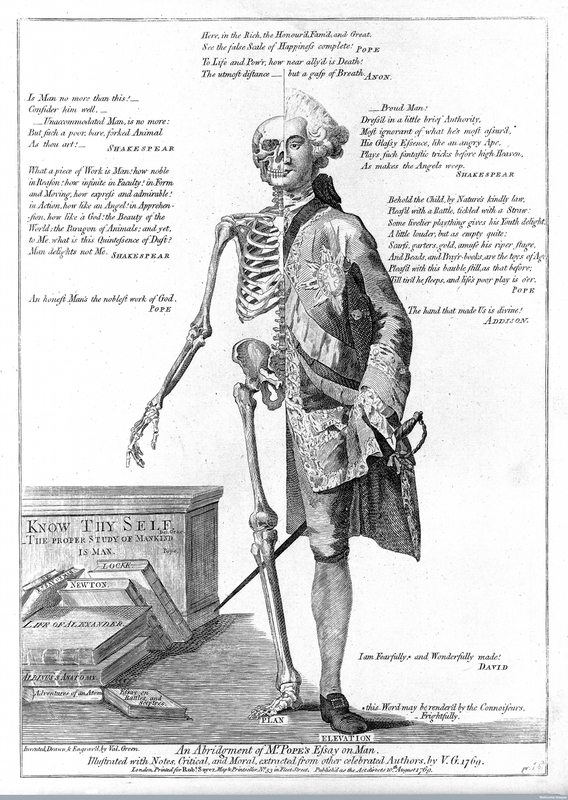 Pope’s poem was a particular favourite among the top Enlightenment thinkers of the time, including Kant, Rousseau and Voltaire, the latter calling it “the most beautiful, the most useful, the most sublime didactic poem ever written in any language” (though he would later satirize Pope’s optimism in Candide).